Eleanor's Pantry - Fundraising Stars! - D. Coy Ducks Pub in Lawton Michigan plans November fundraiser! 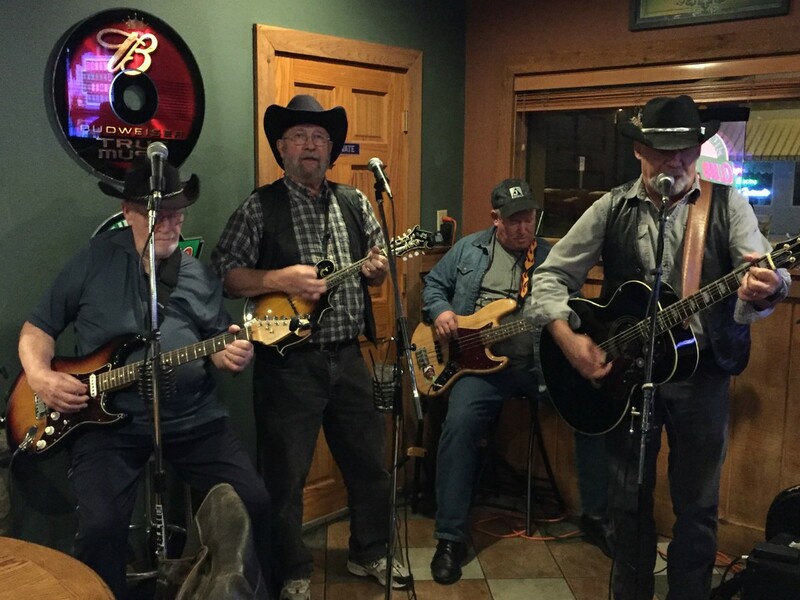 D. Coy Ducks Pub in Lawton Held November fundraiser! 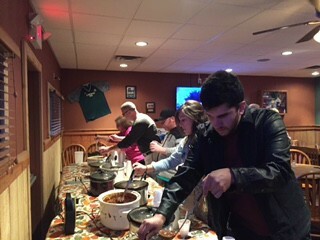 Last night's Chili Cook Off was a great success earning $$803.00 for Eleanor's Pantry! "Last night’s fundraiser was marvelous! D Coy Duck donated $200 of that total," said Nellie DeLong Community Outreach Coordinator for the pantry. "We also received non perishable food." 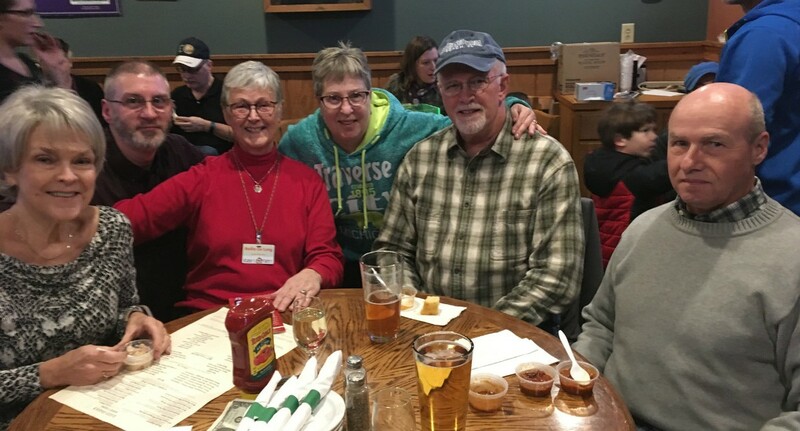 Many friends came out to taste the wide variety of chili and to support Eleanor's Pantry. Bad Endings Bandth annual event so fun and beneficial to the pantry. Everyone voted for their favorite chili by bringing a non perishable food item or cash donation for Eleanor’s Pantry! Winner of the best chili is Joe Mclemore won, chili # 12. Lots of non perishable food was collected and a very generous monetary donation as well. Thank you,also, to Bad Endings for providing us with great music for the evening. Bad Endings signed on to play that night because they know a great cause and a good time! Lots of chili tasted and voted for!